YouTube is great for watching videos online, but sometimes videos go away. 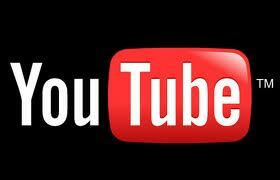 So, in this tutorial, I'll teach you how to download videos from YouTube. 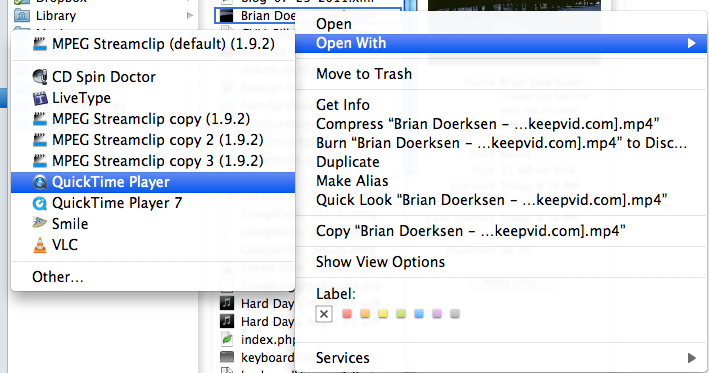 Though I'm on a Mac, this tutorial should apply to PC users as well. 3. ...And click Download. The page should say "Loading Java applet". 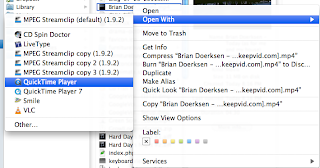 Depending on your browser, you may have to grant the applet permission to run. 6. Technically, you are done downloading the video and you can skip these next steps, but if you want a more friendly version of the Youtube video (MP4s are not the best), follow these next steps. 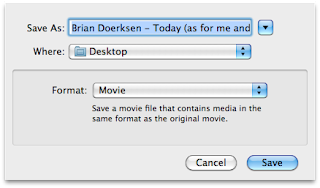 So, right-click (control-click) on the file that you downloaded, and open with Quicktime Player. If you are on a PC, this will be a little different, as you may have to download Quicktime Player. You can do that here. And save as a movie. 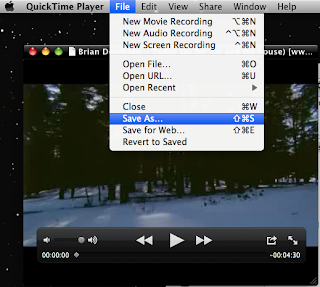 The above screenshot is one of Quicktime Player X. 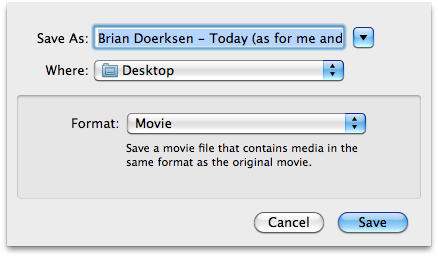 If you are using Quicktime Player 7, the Save As... dialog will look a little bit different. 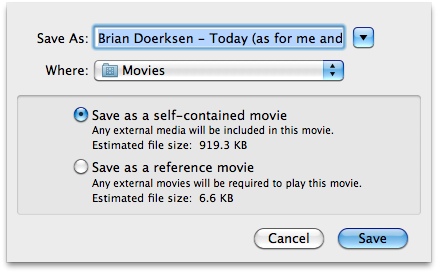 One thing to note here is the "Save as a self-contained movie" radio button option. You want to make sure that this radio button is selected because the other option, "Save as a reference movie" requires that you have the original file. 8. And you are done! Have fun watching your Youtube video.